The JV comes in 13-, 15- and 17-foot models, touting quite a carrying capacity for their sizes. Consider that the JV17CC has a hull weight of just 750 pounds yet can carry five people. If stick steering or a tiller handle is more your style, the JV can be ordered that way as well. 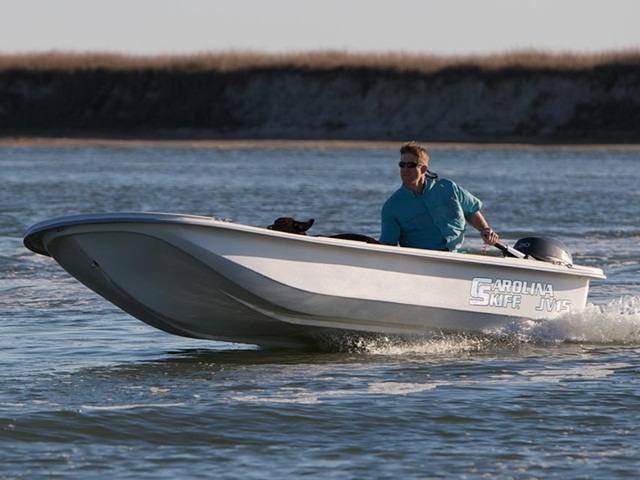 Making the JV even more attractive is its long line of standard features: its pre-wired for a trolling motor and accessories, has a lighted livewell and sports a stainless steel steering wheel. Add on the optional rod holders and a Bimini top and you'll be ready for a relaxing day on the water.